Diepenbrock composed his incidental music to Vondel’s Gijsbrecht van Aemstel (RC 108) for Willem Royaards’ production, which was premiered on 25 June 1912, receiving a great deal of attention. 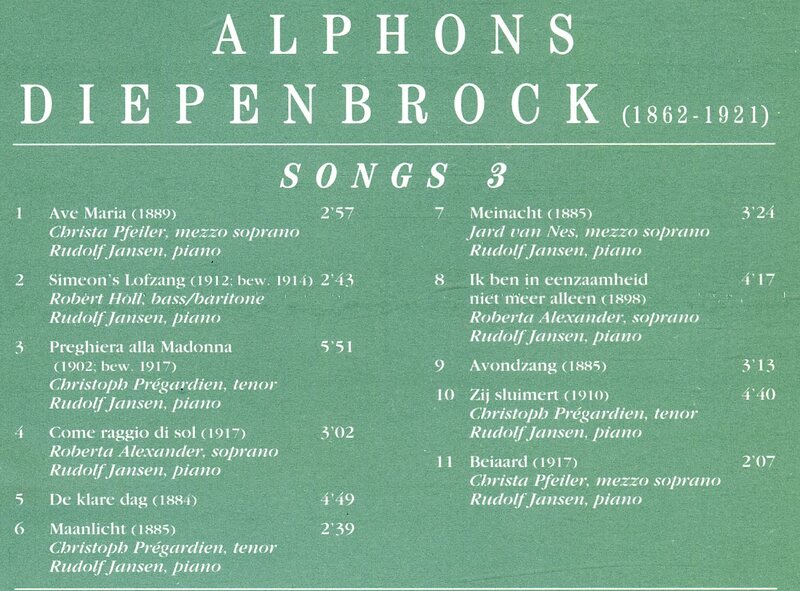 After six repeats in 1913, there were several more performances of the Gijsbrecht in the autumn of 1914 and the spring of 1915, all conducted by Diepenbrock. 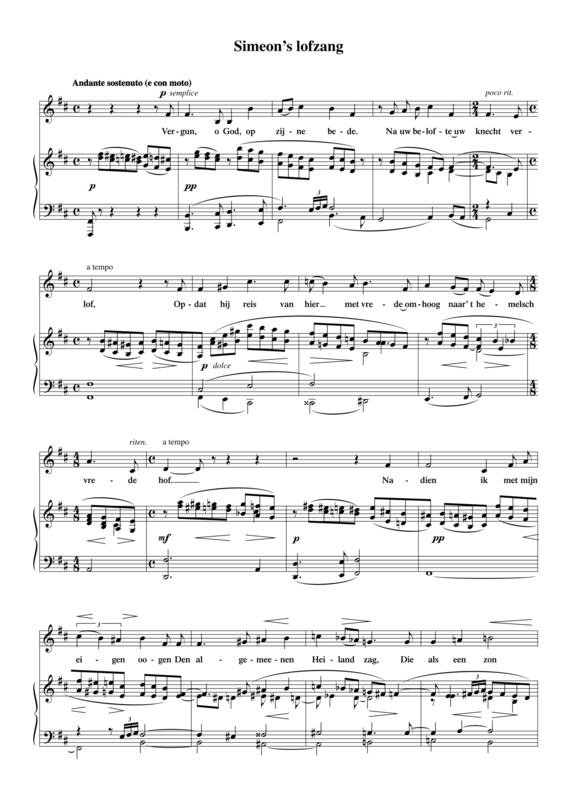 While the sung choral songs of Diepenbrock’s incidental music to Gijsbrecht continued to be the topic of much debate – a discussion in which the composer also became involved after the performance of November 1914 (see RC 108) – Gozewijn’s prayer of peace became a popular section that rose above all criticism. To be a light to lighten the Gentile and to be the glory of thy people Israel. On 5 December 1914 a transcription for low voice and piano of Simeon’s lofzang was published: a facsimile of Diepenbrock’s autograph was added as an appendix to the trial issue of De Nieuwe Amsterdammer.1 In this transcription, which follows the original version of Simeon’s lofzang, the soprano and alto parts (the Poor Clares) have been omitted. Omhoog naar ’t hemelsch vredehof. Daar ieder zich verblijden mag! Verheerlijkt en noch veel vaster sticht.